When I first learned to type it was on a type writer! A manual, slam-the-keys type writer. After writing a paper on one of these things your finger muscles positively bulged and your wrists were sweating. It was a cardio work-out! Then came computers and the venerable IBM keyboards. You know the ones, that were more likely to break the floor than break themselves if they fell off the desk. The clack-clacking (no dainty clicking on those keyboards) was the soundtrack to a generation of programmers. Of course there were other keyboards but the standard was the off-white, weighed-a-ton IBM keyboard. I’ve gone through lots of keyboards in my time since I got into computers. Whether I was programming or writing a paper, there was always the keyboard. Don’t get me wrong, the swype-style keyboard on my smartphone is amazing – when it’s not censoring what I type – and I can’t believe I once thought I had to have a hardware keyboard on my phone to be productive. But as walked around a local electronics retailer recently I noticed all the laptops on display had horrible keyboards! And for that I blame Apple! If there’s one thing I hold against them it’s how their popularity has driven competitors to copy their look even when the end-result is horrible functionality. The laptop I type this on has a chiclet style keyboard (actually this was the type of keyboard first seen on cheap personal computers like the original Sinclair and Atari computers). It drives me nuts! It just doesn’t feel right. Of course it allows the keys to be smaller, which is fine if you have small fingers. But my fingers are not dainty! I can’t hit the ESC key without hitting the F1 (and often F2) keys at the same time. And don’t get me started on that arrow pad that looks like it belongs on a game controller. I have a Logitech wireless keyboard at home and full-sized keyboard at work. But by the very nature of laptop I’m not often sitting at a desk with it. Why can’t all the keys on my laptop have a decent size, that can comfortably hit with my finger while touch-typing. And not suddenly end-up in a help-page or refreshing the web page that contained my expertly crafted and witty oration on some else’s pathetic commentary. 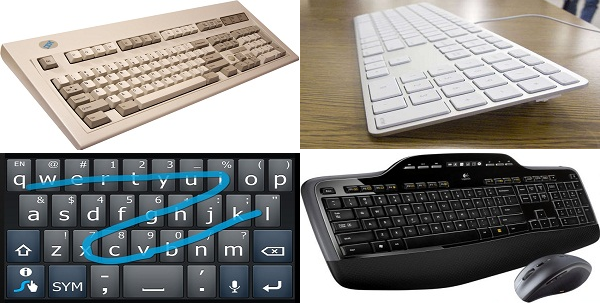 So I challenge someone out there to defy Apple and make a laptop with keyboard that looks like a keyboard, sounds like a keyboard, and doesn’t jam three keys into the space where only one belongs! Rant over. Carry-on. Nothing more to see here. In just over a year – on November 1st, 2013 – Google will pull the plug on another service. This time it won’t be some obscure 20% project that only handful of people ever heard about, let alone used. This time it will be iGoogle! 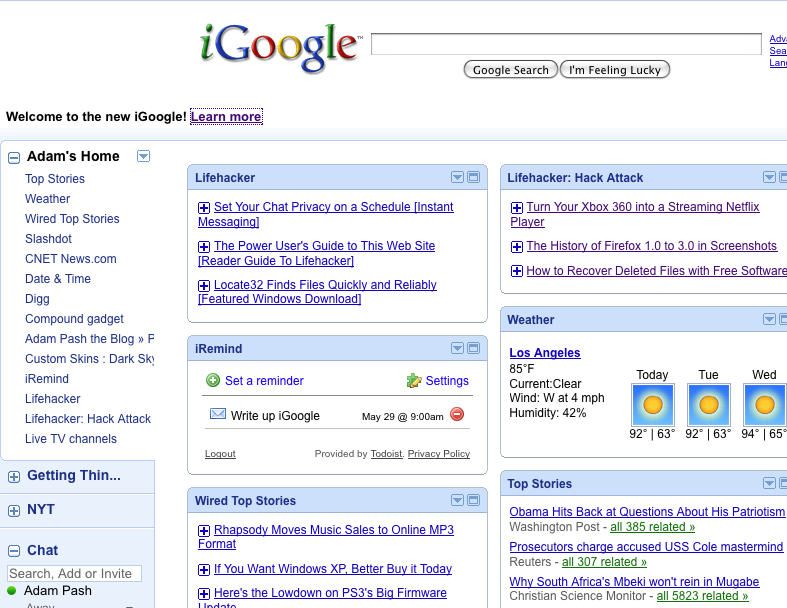 iGoogle is the start page for a lot of internet browsers around the globe. It’s the place where many of us go first thing in the morning to see our new e-mails, our agenda, read the news, and access our Google Drive. Google seems to think the web has evolved to the point where iGoogle is no longer necessary. And they suggest that mobile apps and Chrome extensions will fill the void. Which I can believe on my phone – I’ve never used the mobile iGoogle homepage on my smartphone. But for my desktop and laptop I have not yet found a Chrome app that satisfactorily replaces iGoogle. And ofcourse you can’t take a Chrome Extension with you when you log in from another computer, or even a different browser. There are a couple other alternatives too: NetVibes and Protopage. We’ll see if Google changes their mind if the drive to either of these two dashboards heats-up. NetVibes is the more mature and feature rich platform, while Protopage still has some work to do to smooth things out and fill in the gaps. there’s no starring or tagging, which admitted was of limited usefulness in Google Reader since it became subservient to Google+ but it would be nice if NetVibes offered it. Hopefully NetVibes will get ambitious and challenge not just iGoogle but Google Reader too – the defacto king of feed reading. Protopage only displays feeds in boxes as separate widgets, but it is possible to combine several feeds into one widget so you can compress it somewhat. But you can’t streamline it into one continuous feed. The other thing a dashboard needs is active widgets. Not just the weather or the quote of the day; but e-mail, calendar, twitter and more. Widgets that you can interact with and manipulate the contents of. In this case NetVibes definitely has the lead over Protopage with a well documented API and easy to use widget showcase. Unfortunately since NetVibes (or Protopage) isn’t hosting any of this data (unlike iGoogle that was hosted by the same people who host your GMail, GCalendar, GTasks, etc.) you need to authorize the dashboard widget to access that data. The essential NetVibes widgets seem to have this ability but the third-party widgets don’t – it’s not part of the API! So you can view your Google Calendar if you make it public but you can’t update it. Hopefully we’ll see NetVibes and Protopage improve their API’s and either internally or with the help of independent third-party developers build widgets that let us re-create our iGoogle dashboard without having to abandon all the other stuff we have with Google – at least until they discontinue it!